I've got a model with mirror, bevel, and subsurf modifiers on it and subsurface is causing some shading issues. I don't know how to fix them other than to just disable it. I've seen another two posts like this but one of them was due to some tris in the corners of the mesh, which I don't think I have. edit: By request, a screenshot of it without subsurf in edit mode. There are no ngons, it's all quads. It looks like the topology automatically generated by the Bevel modifier creates these artifacts, maybe someone will explain. To correct it, you can add some edge loops not too far. 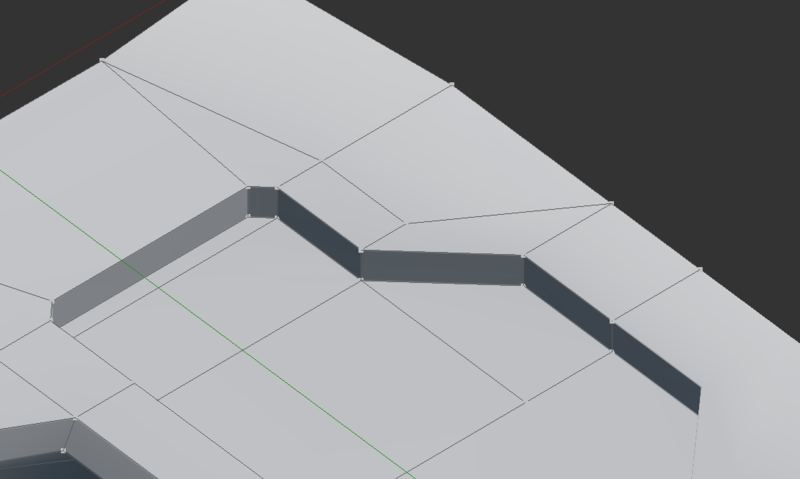 Or you can create bevels manually, first horizontally then vertically, it creates a different topology that works better. Not the answer you're looking for? Browse other questions tagged mirror subdivision-surface shadows bevel or ask your own question. What causes black shading errors?